There's a lot of talk among Amazon and eBay sellers about the China problem in ecommerce. But it shouldn't be put down solely to sour grapes or protectionism on the part of domestic sellers - evidence is mounting that the problems are real and the decks are often stacked against US and European sellers. Some Chinese sellers play by a different set of rules, and the stakes couldn't be higher on Amazon where a great deal of money is at stake - as well as the safety and well-being of consumers. The Wall Street Journal published a video today that digs deep into bad selling behavior on the part of China-based Amazon sellers and ties it all together. You don't need a subscription to watch the video, which you can find embedded in this article, "How Scammers in China Manipulate Amazon." If Wall Street Journal reporter Jon Emont can sniff out these issues, one has to ask if Amazon could do more to identify and address them. eBay sellers also face the China problem, made worse as eBay shifts its marketplace to a product catalog like Amazon's and, through its Chinese subsidiary, works closely with sellers there to succeed on eBay.com. Neither site really cares about anything but the bottom line. if that non-compliant china power transformer burns down your house, or the unknown , untested chemicals in china makeup burn your face off, consumers need to be able to sue the venue. Sadly Amazon and eBay only care about the bottom line. With Amazon they care about negative public opinion and balance that... eBay seems to care about short term profit and has no respect for burned sellers or buyers. "Some Chinese sellers play by a different set of rules"
Couldn't you also say "Some US sellers play by a different set of rules" or "Some Indian sellers play by a different set of rules"? Thank you for following up with "(That's not to say sellers outside of China aren't also trying to game the system through bad practices.)" I find it amazing that China makes the drugs we use. Only took the FDA 6 years to notice that the product is basically poison. What gets me is how many items from China that are being sold on Amazon and/other sites that are just ouright dangerous and/or lethal?????? Me thinks Amazon, ebay, etsy and the rest should hold some type of responsibility and not claim ''just a venue''. 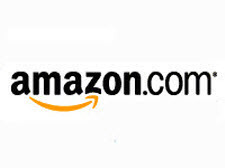 Amazon is not just a venue-selling platform. They create, manufacture and sell the products. Appears no one can be held accountable except the chinese-but that means squat. It is my opinion that the rest of the Industrialized world's economy and job markets are being wrecked by the shift of money and jobs to China and India. Due to the massive population of those countries, they can strip all the other nations of this planet of money and manufacturing jobs, and still not feed all their people. This massive flow of money and jobs out of the industrialized nations is causing economic and political havoc around the world. I am sure I cannot be the only person who sees this happening. The only thing I am sure of is that I do not have the power to stop it. @Rexford - you are correct, but with China it's a matter of (1) Scale (huge) and (2) Enablement (by eBay and Amazon). With ebay and Amazon, the only fear for them is the US pulling out of the Universal Postal Union. Both companies stand to lose billions when the Chinese stop shipping out of the country. The counterfeit problem is epidemic. Both Amazon and ebay know exactly what they are doing. Profiting from fake goods off the backs of child labor while hiding behind venue protection. I've reported numerous auctions where right in the description it said this is a REPLICA. What did ebay do. Nada, nothing. The auctions are still up. What's needed is a federal investigation. All concerned who look the other way while this outrage continues should be sent to prison. An ALL AMERICAN venue MUST be created. It MUST filter out ALL off-shore entities. Americans deserve a PURE selling venue / environment. It would not be illegal. It would be a raging success with eagle eye oversight.